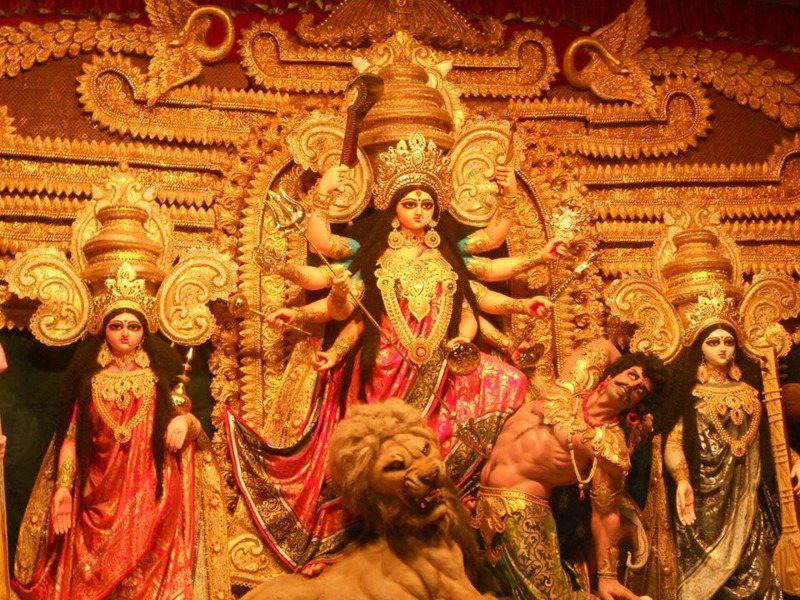 Durga Pujo Special: All About Shubho Maha Shashti, The Onset Of The Bengali Durga Pujo! Mythologically speaking, Shasthi is the sixth day of Devi Paksha and marks the formal beginning of Durga Puja for Bengalis. In Bengali tradition, four rituals-Kalparamvo (the beginning of the Pujas), Bodhan (the consecration of Maa Durga’s idol), Amantran (inviting the Goddess) and Adhibas (sanctifying the stay of the Goddess in the puja area of the Pandals) are performed on Shasthi. The 'Bodhon' rituals include the unveiling of the face of the idol. This is done by chanting of mantras and singing devotional songs like “Jago Durga, Jago Tumi Jago”. 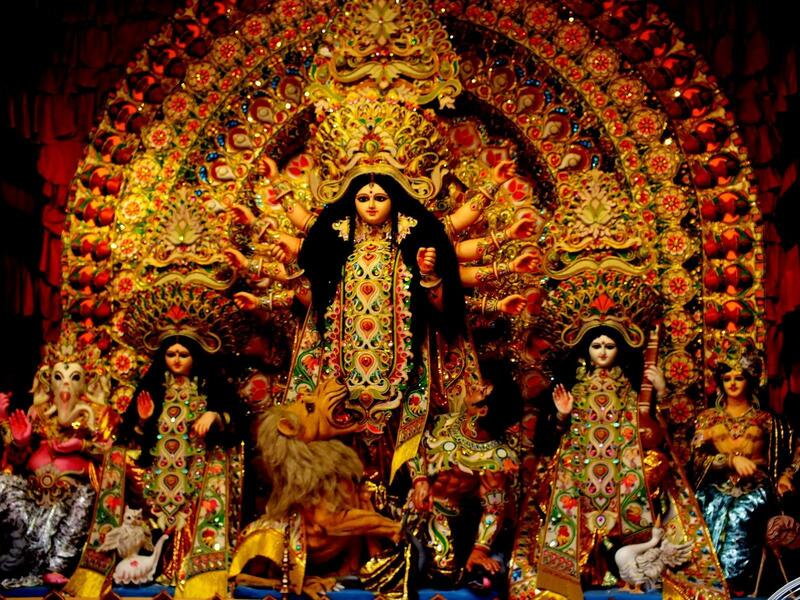 For Bengalis Durga Puja begins only on the sixth day of Navratri. This is technically the day when Goddess Durga arrives in the mortal world after completing her journey from Kailash. 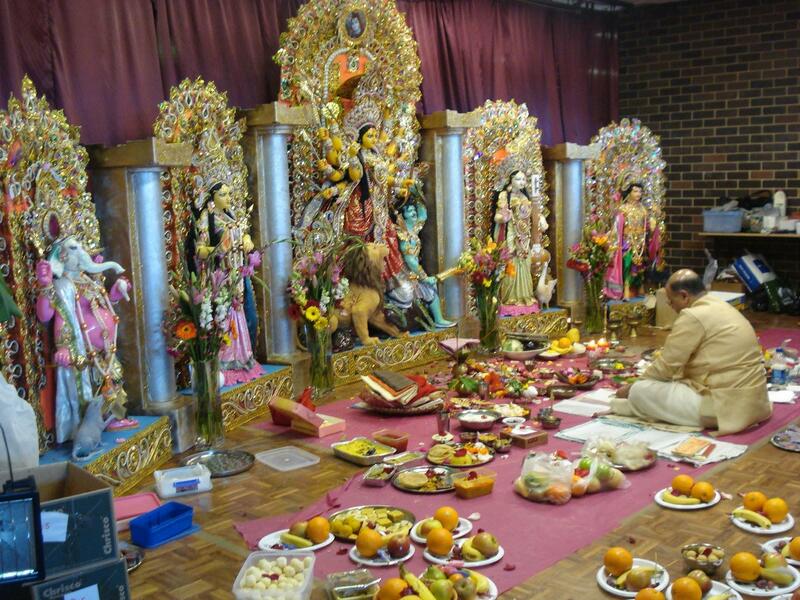 Therefore, to commemorate this, Shashthi Puja has some very interesting rituals. Bengalis believe that on the day of Shashthi Goddess Durga aka Parvati, the wife of Lord Shiva comes to home of her father from her husband’s place with her four children- Ganesha, Kartika, Laxmi and Saraswati. This is why all the ladies participate in the setting up of the Durga Ghat before the idol on Sasthi. Women formally welcome Maa like a daughter on her arrival for a three day trip to his father’s house. Kanya puja is also held at all pandals where they worship young girls as Maa Durga’s impersonation. Technically, Shashthi is the sixth day of any lunar month. Although it comes once in every month, some of the Shashthis are special. For example, Neel Shashthi is the day when Lord Shiva is revered for the welfare of the child. Jamai Shashthi is dedicated to the welfare of the son-in-law. But during Durga Pujo, this day is dedicated to the welfare of your progeny. So many women perform a special puja on the day of Maha Shashthi. They fast and pray for the wellbeing of their child. As Goddess Durga is presumed to be the Mother of the Universe, Maha Shashthi takes on a special significance for mothers. On this day, mothers fast and eat certain limited food items. They perform the 'Anjali' and pray for their child's prosperity. Women who have children usually come together right from early morning to the 'Anjali' wearing a new saree, preferably yellow in colour. They avoid eating non-vegetarian food and rice on this particular day especially till they break their fast. So with Maha Shashti, Durga Puja begins with full pomp and grandeur, and is followed by four days full of mirth and splendour!